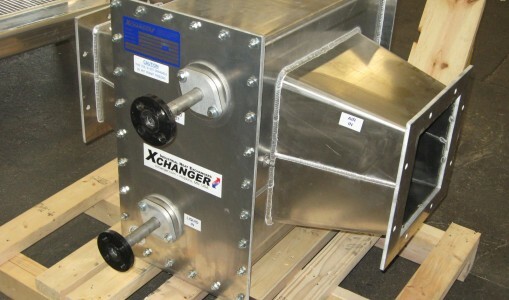 Optionally, AA Series heat exchangers can be fitted with duct flanges on the intake side, exhaust side, or both. 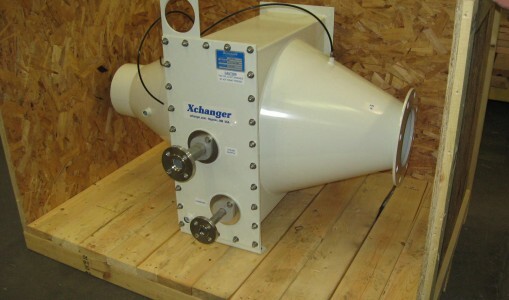 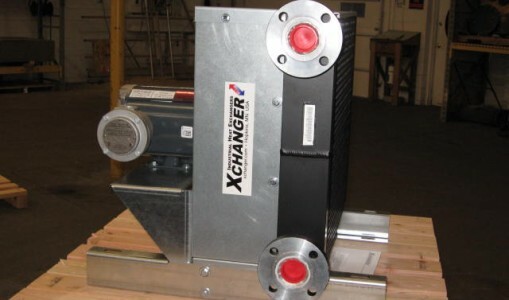 These heat exchangers typically serve as blower aftercoolers, where ambient air is used to dissipate heat from hot air from the discharge of a rotory lobe or centrifugal blower. 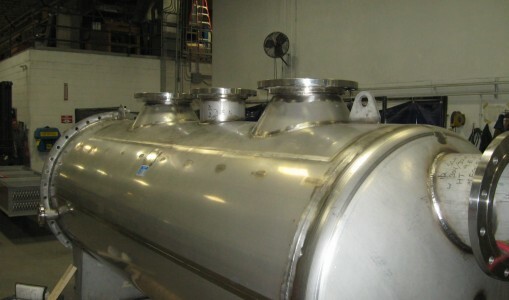 Typically these units are installed outdoors, so the removed heat from the process air simply exits into the atmosphere. 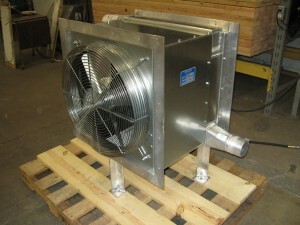 It may be advantageous for the setup of a convey application to install the heat exchanger indoors. 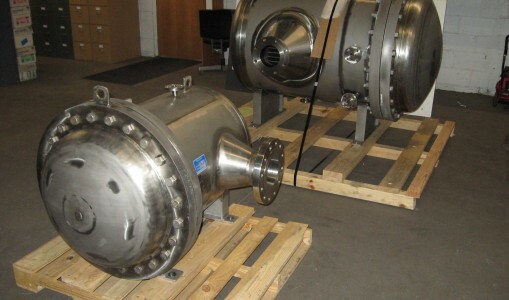 This will constantly dump heat into the building, which will either tax the HVAC system or gradually increase the temperature of the room potentially causing issues for employees, equipment, or stored / conveyed product. 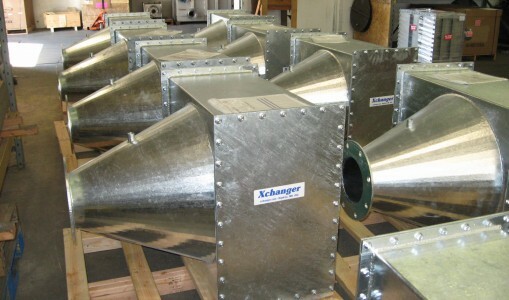 If fitted with duct flanges, exhaust air from the heat exchanger can be ducted outside or to other indoor areas to supplement the heating system in the winter, thus reducing utility bills. 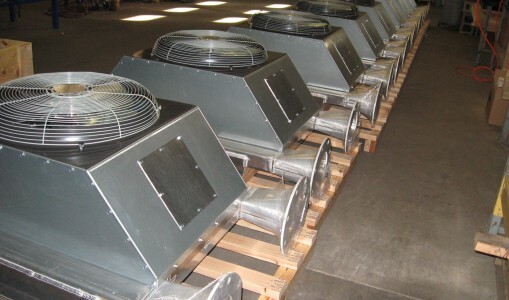 A control setup could be used to direct air outside during the summer months and to direct air to work spaces during the winter months. 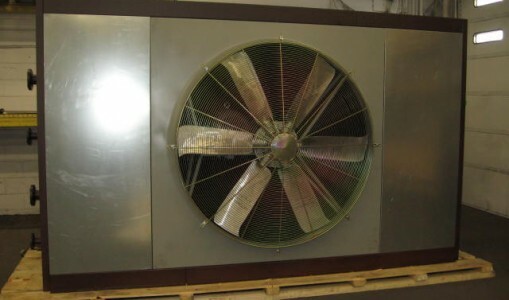 The intake side duct flange could be used to pull in cold air from outside during the winter to achieve additional cooling of the process air rather than using air from a heated room. 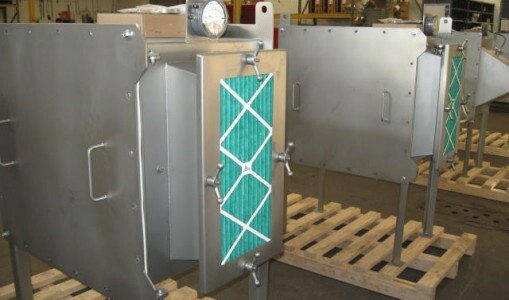 It is important to note that attaching ducting to the heat exchanger will add static pressure to the fan, which will restrict air flow and increase the amp draw on the motor. 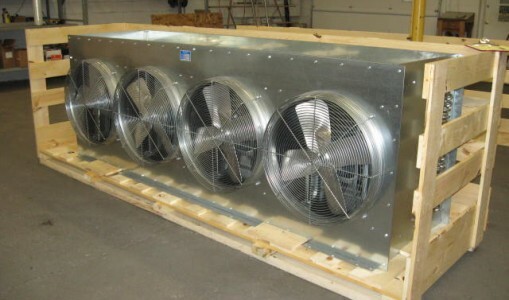 It is recommended to install booster fans in the ducting to overcome additional static, so the heat exchanger can operate as it was designed.